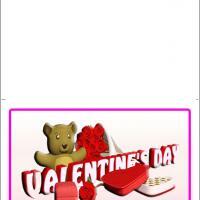 Although Valentine's Day is often thought to be the holiday for lovers, the day is actually for anyone to show someone they love how much they care. This of course includes family members! 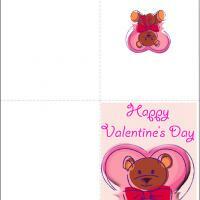 This 4x6 postcard features a mother and child animal motif with a bear holding a heart in the middle. 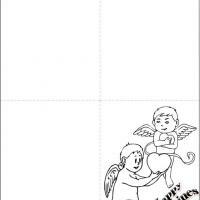 These printable Valentines are a great way for kids to show their mothers how much they care on this special day. The animals on this card include bears and skunks and the whole thing is surrounded by a colorful border. 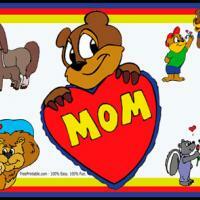 Print these free printable cards today and show your love for your mom on Valentine's day. Don't forget to include your own personal message on the inside! Valentin's Day isn't just for romantic couples; make sure to show your mom how much you love her too.